What do tent cities, basketball courts, slave ships and facebook have in common? They are spaces of American culture where an idea of Americanness emerges through a concrete form of contact on the one hand and through its mediated representation on the other. 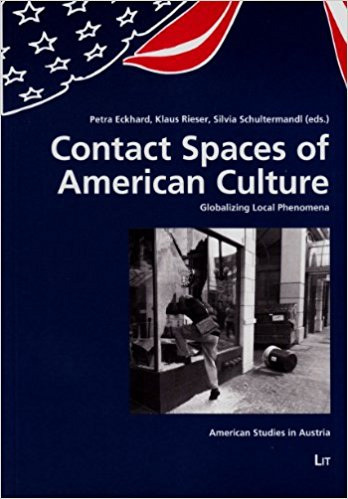 This collection of essays examines these contact spaces and their myriad and complex configurations of culture along a spatial axis, highlighting the interconnectedness of the local and the global in concrete spaces of American culture, both inside and outside the United States, and in the World Wide Web. One line of inquiry studies metaphors of contact, the other one reads media texts as contact spaces and investigates the role of mediation.